Its that time again. 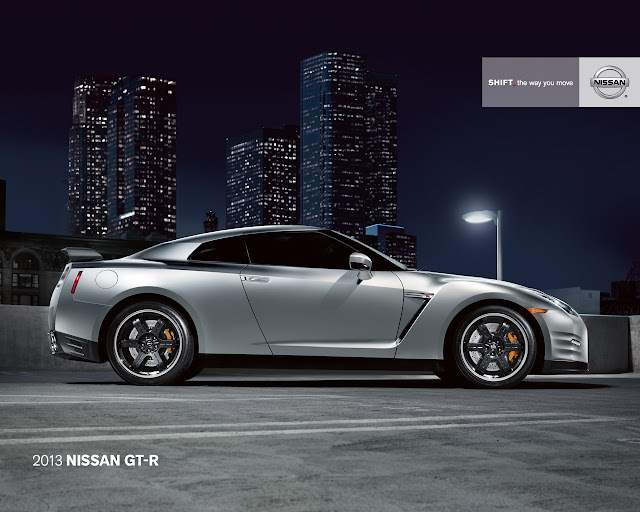 May sales are out, 135 Nissan GT-R's were sold in May 2012 vs 132 in May 2011. Total Year to Date was 479. Other notables in Nissan's lineup, 903 Z's were sold, up 6.6% vs the year before. LEAF fell 55.3% to 510 units vs 1142 April 2011. Total for the year on LEAF's was 2613 units. In case you ever wonder what really sells. In case you wonder what people really buy. 22,690 Nissan Altimas, down from 25,525 in April 2011. However the total for the year is 135,289 up 20.5% vs 2011. 135 GT-R's this month, 135,000 Altimas so far this year. FRANKLIN, Tenn. - Nissan North America, Inc. (NNA) today reported May U.S. sales of 91,794 units versus 76,148 units a year earlier, up 20.5 percent. Nissan Division sales increased 16.4 percent for the month at 81,202 units. Sales of Infiniti vehicles were up 65.8 percent over the prior year, to 10,592 units. Nissan Division posted 81,202 sales, up 16.4 percent from last May's 69,759 units. Nissan Rogue sales set a new May record with 11,977 units sold, up 72 percent from a year ago. Nissan Juke also saw best-ever May sales, with 3,298 units marking a 66.2 percent increase over May 2011. Sales of the Nissan Versa rose 80.3 percent from year-ago, to 8,643 deliveries. Nissan's lineup of trucks and SUVs delivered strong gains, with sales increases across the lineup, including: Frontier up 17.2 percent; Titan up 86.7 percent; Pathfinder up 32.6 percent; and Armada up 26 percent. "Fuel-efficient models like the Versa, Juke and Rogue had a great May, but moderating gas prices drove gains across our entire truck lineup," said Al Castignetti, vice president and general manager, Nissan Division. "Demand for the Altima remains strong through our sell-down efforts, with sales for the year up more than 20 percent. We look for that momentum to carry into the launch of the all-new 2013 Altima, which goes on sale by the end of June." Infiniti today reported sales of 10,592 units for May, an increase of 65.8 percent from 6,389 units a year earlier. The Infiniti G Sedan had sales of 3,758, an increase of 40 percent and the best May since 2008. The Infiniti QX full-size luxury SUV had its best May since 2006, with sales of 994, an increase of 27.6 percent. The all-new Infiniti JX 7-passenger luxury crossover contributed incremental sales of 2,678 units for May, and 5,297 for the year. NOTE: To ensure consistency in global sales reporting, Nissan North America calculates monthly variances on a straight-percentage basis, unadjusted for the number of selling days. May 2012 had 26 selling days, while May 2011 had 24 selling days.